Grand Lake St. Marys, a 13,500 acre lake located in west central Ohio, was the site of the world’s largest alum treatment in June 2011. Due to funding constraints, the lake will be treated over multiple years to deliver the full alum dose. 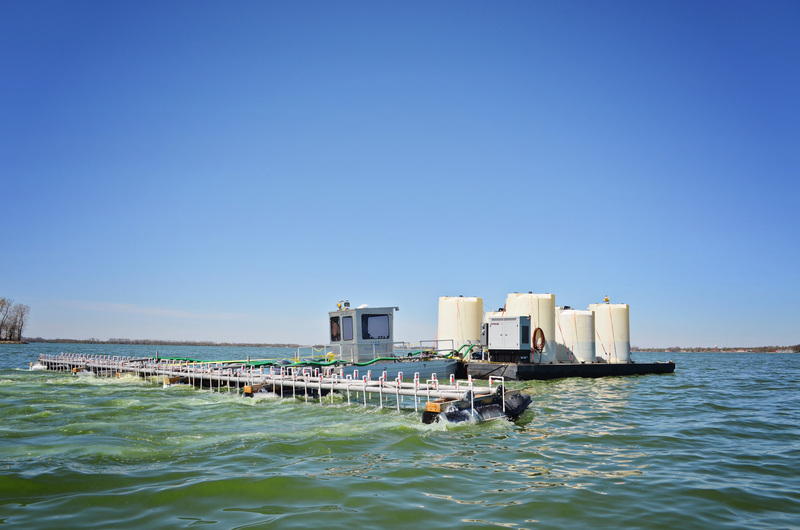 During the first year of the project (June 2011), a 4,900 acre middle portion of the lake was treated by HAB Aquatic Solutions with 2.6 million gallons of aluminum-based products. This first dose represented 42% of the required full dose for the center portion and only 12% of the full dose needed for the entire lake. However, the lake is already showing signs of improvements after this light application. The improvements are presented in an independent study prepared by the consulting firm Tetra Tech.